Hot on the heels of the open beta (remember? 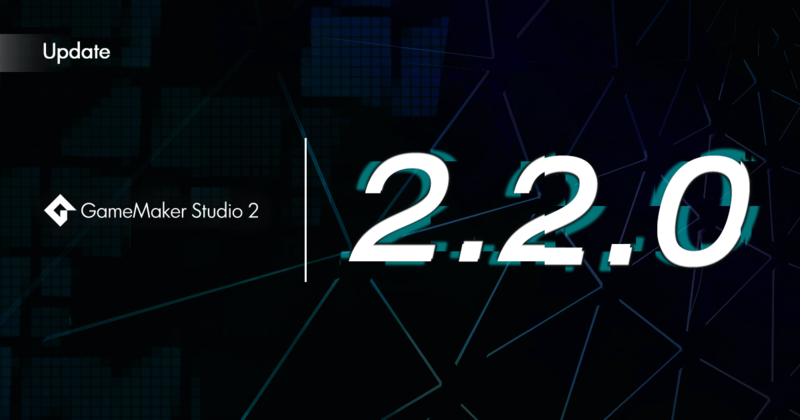 ), GameMaker Studio 2’s 2.2.0 is now available, and with it, full Switch support! What this means is that the popular engine now lets developers export straight to Nintendo’s latest console – with a Nintendo Switch licence or a GameMaker Studio 2 Ultimate licence, that is. Oh, and that’s not all this update adds either. Aside from the incredibly important Nintendo Switch module, GameMaker Studio 2 2.2.0 also brings… well, “Misc IDE Fixes”. I’d try to explain exactly what these are, but as I have no idea where to even begin, I’m just going to refer to the blog post instead and move on to the Switch stuff. I mean, chances are that is why you’re reading this article anyway, seeing how that’s the biggest new thing in 2.2.0 and all. We have now released the production version of GameMaker Studio 2 Nintendo Switch licence. This means GameMaker Studio 2 Nintendo Switch export, GameMaker Studio 2 games can be exported directly to Nintendo Switch. So, for those new to Switch development, go ahead and sign up at https://developer.nintendo.com/. After that, well, there’s quite a few more steps, but since YoYo Games covered it nicely in this post, as with the IDE fixes, I’m simply going to refer you to that. I will say this though: exporting GameMaker Studio 2 creations to the Nintendo Switch is not free, nor is it cheap, as you’ll need a Nintendo Switch licence ($799/12 months) or a GameMaker Studio 2 Ultimate licence ($1,500/12 months). Still better than having to build from scratch, I’d say. Unless you’re incredibly skilled and/or patient, of course, willing to spend time creating the engine for your game as well as, you know, the game itself.